Head to Amsterdam Central Station. At the back of the station, take the free ferry in the direction of ‘Buiksloterweg’. This will bring you to the other side of the river in 5 minutes. 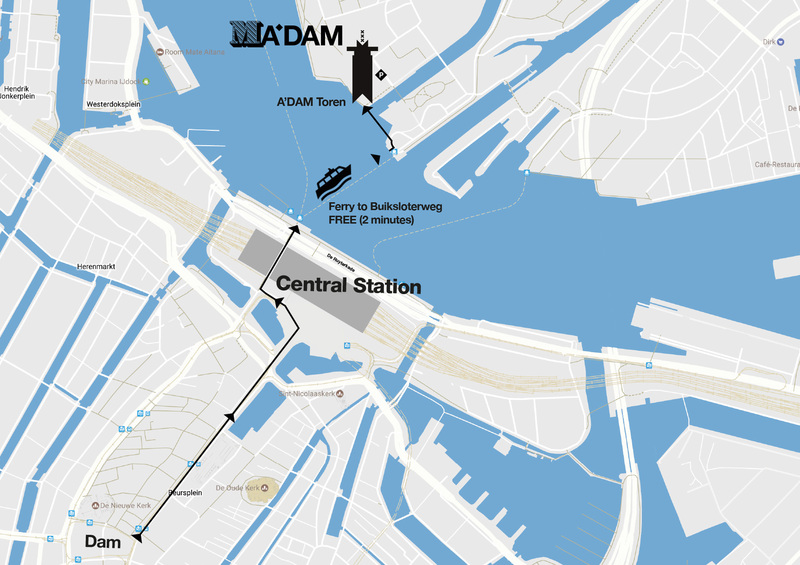 Once you get off the ferry, turn left and walk towards the A’DAM Toren. After 100 meters you will pass a footbridge. Immediately after passing this footbridge, turn right in the direction of Overhoeksplein. The entrance to Madam is at the back of the A’DAM Toren. You will approach the Northside of A’DAM Toren and may enter the underground carpark marked with ‘Welcome to the Pleasuredome’.